Below I will give you a series of tips to overcome job interviews, which have worked for me and therefore I have decided to share with all of you. 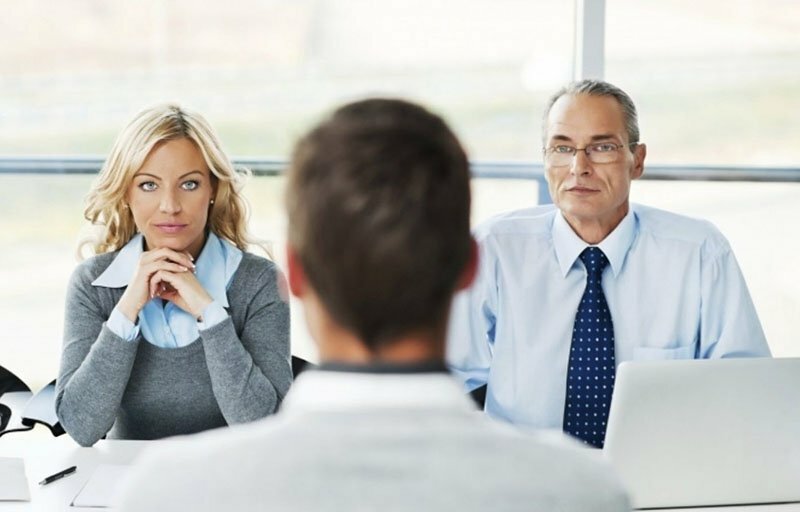 Leave the nerves aside and pay attention to the Job Interview Questions, it would be very bad that the interviewer finished enunciating it and you had forgotten, what I was asking you. Allow the interviewer to finish asking you the questions; do not interrupt him in advance. Do not get distracted by looking at everything in the office, keep eye contact, without becoming intimidating. Look at him and try to show enthusiasm, give signs that you are interested in what they ask you. Use the sense of humor, smile in its proper measure and try to connect with the interviewer. A sense of humor is the best way to de-stress and create bonds. Your body language says a lot about you, so keep calm. Adopt a straight posture in the chair, do not cross your arms, or your legs, and gesticulate as necessary to reinforce your arguments. Link your answers with the research you did about the position and the company. You can talk about marketing one of their new products and your experience manufacturing/selling/designing something similar. Speak concisely, you are supposed to know the answers to the questions they ask you well, so do not go around the bush. Talk about what you know how to do, or the successes you have achieved, but always giving examples. Do not lose focus, it’s an interview, the interviewer is not your friend, so keep your professionalism. Say goodbye to the interviewer thanking them for the opportunity they have given you, try to smile and look him in the eye. You should give him a handshake, and say goodbye with a mood as positive as you had when greeting him for the first time. Ask for your contact information, maybe a business card. Take advantage and send a thank you letter in which you reiterate your interest in the position, add some detail that you missed, and appreciate the opportunity they gave you. Review the interview while you have it fresh, and point out those things that you should improve, that will help you to have even more success in the next one. Accompany your curriculum vitae with a cover letter. That is the best way to highlight the strengths that most relate to that job, but above all, it will serve to draw the attention of the interviewer, and stand out from the other candidates. Find out who is going to interview you. You can get information from other workers in the company, from the person who calls you to arrange an appointment, or perhaps the same day of the interview, asking other candidates. For the moment of choosing the clothes that you are going to wear, what I am going to advise you is that you see them in a suitable way for the position. That means that you must go neat and clean, without any stridency in the hair or makeup. There is no other secret. You should always go to the interview with plenty of time, 10 minutes before the hour is ideal.